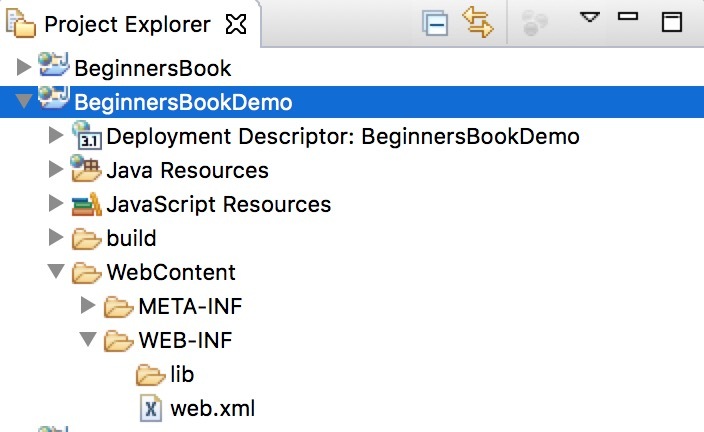 This is a complete guide for installing Eclipse, setting up apache tomcat server and running your first hello world servlet application. Go to this link https://www.eclipse.org/downloads. Under “Get Eclipse Oxygen” ❯ Click “Download Packages”❯ Download “Eclipse IDE for Java Developers”. You would see two options on the right side (32 bit and 64 bit), click on 32 bit if you system is 32 bit else click on 64 bit. This will download a zipped file on your system. To install Eclipse, unzip the downloaded file and copy the unzipped folder to the desired location. Go to this link https://www.eclipse.org/downloads. Under “Get Eclipse Oxygen” ❯ Click “Download Packages”❯ Download “Eclipse IDE for Java Developers”. To download click on 64 bit and it would download a TAR file. Once download is finished double click on the TAR file, it would extract the contents of the file to a folder. Drag the folder to “Applications” folder. To launch the Eclipse, click on Eclipse icon in the Eclipse folder. Mac users can drag this to the dock area to quickly launch Eclipse from desktop, similarly Windows can create a shortcut of Eclipse on desktop. 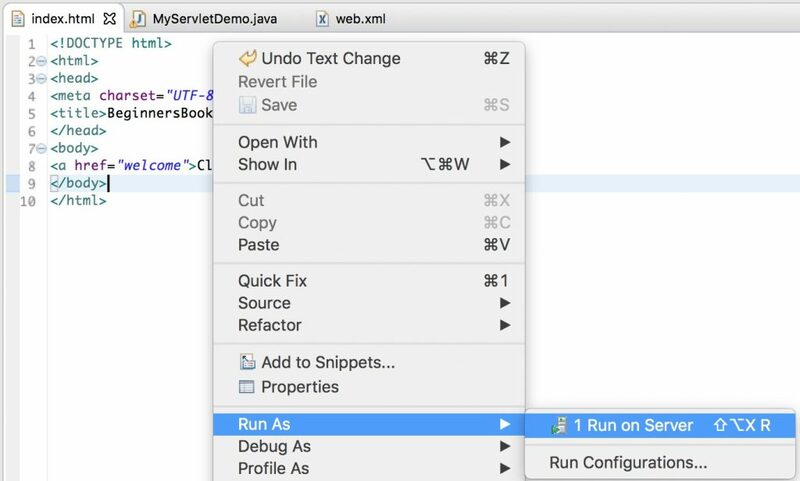 In order to run Servlet in Eclipse IDE, you need to have Apache tomcat Server configured in Eclipse IDE. 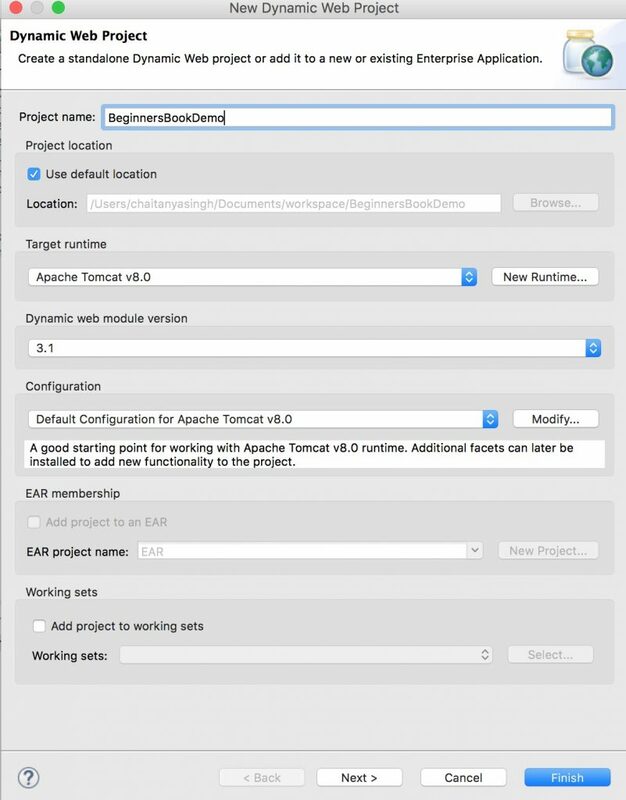 If you don’t have it then refer this tutorial: How to download and configure Apache Tomcat Server in Eclipse IDE. 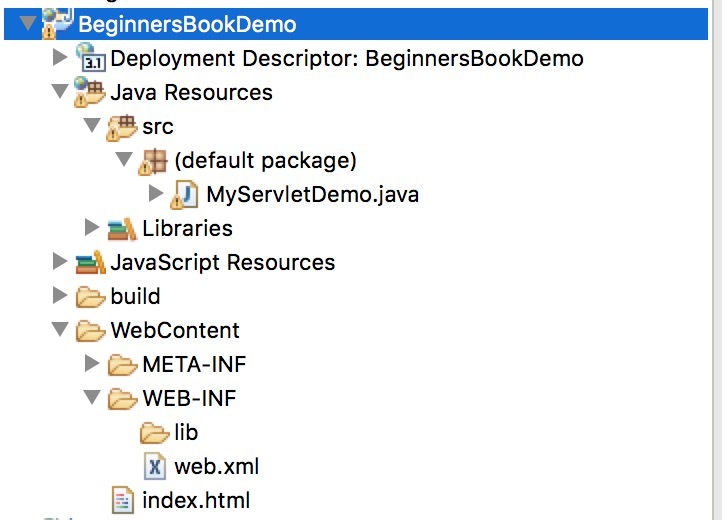 Note: The link I have provided above belongs to JSP tutorials but the steps are same for Servlets as well. 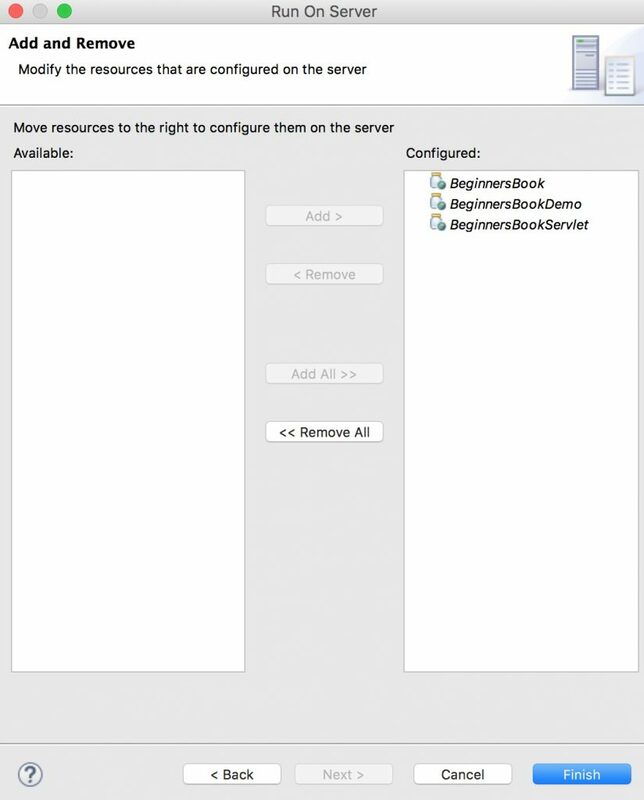 Lets create a Servlet application in Eclipse. 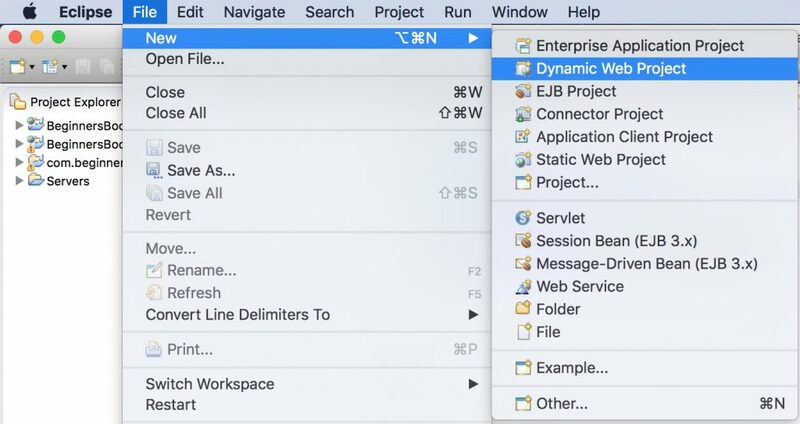 Open Eclipse and then click File ❯ New ❯ Click Dynamic Web Project. Give Project name and click Next. This file can be found at this path WebContent/WEB-INF/web.xml. In this file we will map the Servlet with the specific URL. Since we are calling welcome page upon clicking the link on index.html page so we are mapping the welcome page to the Servlet class we created above. Right click on the index.html, run on server.